@Doc wrote: So...is this loss Zidane's fault because I really think he truly was let down badly by his players today. Lol, especially since he gave them that masterful motivational man management speech at half time! Yeah, the contract man! It’s a first for an accountant, legal guy to have these enormous responsibilities. lol if (when) he is to get fired it would be more because of our 19 point gap than this. but this was bloody embarrassing, couldn't catch the second half cos i had to pick my kids, but this gives me the feeling of when we used to lose to alcorcon union et al. Your children would have showed way more fight and ability today Tito. Trust me, it was really painful to watch. Don't even bother with highlights, it would just ruin your night/day. Well Zidane said himself that he's gone if we don't win against PSG. So the path is clear. The man will likely resign so Flo doesn't have to fire him. I missed the match against Legane due to other obligations. If CR and Bale weren't there to be on the receiving end of our routine, fullback spray and pray it into the box tactics, what kind of tactic did he employ? @Thimmy wrote: I missed the match against Legane due to other obligations. 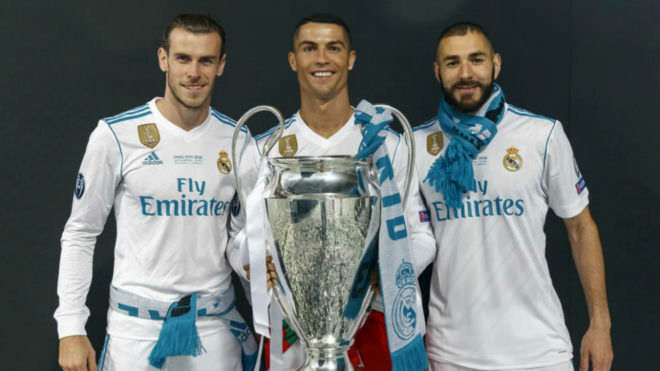 If CR and Bale weren't there to be on the receiving end of our routine, fullback spray and pray it into the box tactics, what kind of tactic did he employ? Same thing but with Benzema and, wait for it, Isco trying to come in with those late runs into the box with his clearly superior jumping ability. The difference in quality between Theo/Ashraf and Marcelo/Carvajal is astounding. We should have scored more than 1 in the 2nd half... totally dominated. But Asensio is absent, Isco is being his happy useless dribbling self... Benz is Benz... and Mayoral is Mayoral. Carvajal was molesting his side, which was finally opening up space for Modric/Lucas to create. Our strikers are useless although the Benz goal was nice. But this was a game where a proper CF would have eaten things up once Modric/Carvajal were introduced. The defenders finally had to respect the at least one flank which stretched them. Instead, the runs were soft and slow. It was just a poor starting XI, which shows how crap our bench is this year. Other than the strikers... the only other difference I see is that our fullback play has dropped off a cliff due to injury and Marcelo being on vacation. Hard to play this style that depends on overloading the flanks when you have this. Calling a team made of Ramos, Theo, Llorente, Isco, benzema, Vasquez, etc... crap, when they lost against Leganes is a complete joke. Poor coaching leads to this. the team we fielded is far and above superior to that leganes team. They lost because they are poorly coached, cant create chances can't dominate a lesser team by playing better football. that's the coach responsibility again, and he ha shown to be crap. Again, fcking Leganes beat us at home. Question re Sports and his fondness of Zidane. Once he jumps ship, does Sports as well. I predict Sports is going to become the new Huntsman of GL. @futbol_bill wrote: Question re Sports and his fondness of Zidane. Once he jumps ship, does Sports as well. I predict Sports is going to become the new Huntsman of GL. First you said I'd jump ship with Benz, then Varane, now Zidane... it's your president's fondness of U23 Spanish players that have put us in this predicament dude, not my love for French players. 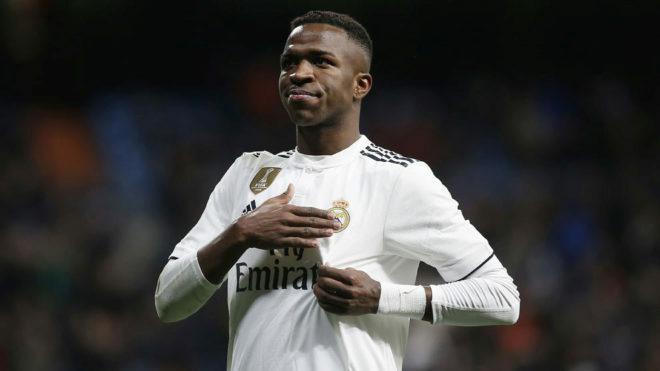 I know it's important to Flo to have the next spanish superstar on Real Madrid... but ffs, wait until these players actually become stars and then buy them. I will admit I was a huge Asensio fan and he's disappointed me bitterly. I also like Isco, but I think he's trying too hard now. Carvajal is a G. The rest of the Spanish kids are complete garbage. Btw, i think every coach has had an embarrassing loss in CDR as far as I can remember lol... for differing reasons mind you. The best was playing that Dennis kid when he was under suspension. CDR has never really been our thing. A shame this thread exists. Though knowing the lowly smears of this section I am not remotely surprised. Nor am I surprised of this latest outcome. Observing this current season has been very painful. Players let us down again. Truly our dominant cycle is over. If Zidane is thinking about resignation, he best think twice. I maintain that he is the right man for the job. The decline which I warned about many years ago just came sooner than we all thought. Benz scored a goal but it is obvious he can no longer be relied on. His decline was well within my estimations, I just wished it he didn't confirm my prediction. Same goes for CR7 who can no longer be relied on either. The BBC is no more. Bale has been something of a pleasant surprise but he is not getting any younger either. The defense also requires a renewal. Ramos it pains me today like Karim, like CR7 may no longer be up for the task. I didn't expect much from nacho. But today was disappointing. Say what you will about our Frontline but it is the captain's responsibility to ensure that everyone in the team are on the same page and that failure is not an option. Our backline folded to a mere leganes side. Ramos must be held accountable. Game after game, month after month. One day it's Frontline, the other day it's the midfield, and another day the backline. The only ones whom are safe are the GKs. Their jobs are being made difficult by the outfield players. Can't really fault the keeper if the team can't work a proper shift. Zidane is not at fault for this. If another coach is brought in, the only thing that changes is whom would become the new scapegoat you fools complain about. While I don't disagree that we could have handled the summer better, not many could have foreseen such a decline that is currently being brutally shown. Well, I knew it was coming but I thought we had at least one more year. 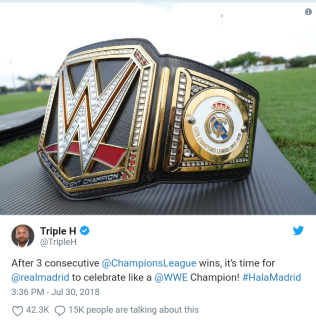 La Liga gone. CDR gone.only the cl to play for and variables changed completely against us. Grit your teeth and bear with it. We only have half a season to go. We will turn this around or fully cement the crash. Interesting to see how the rest of the season plays out. I for one hope we go down in flames in the CL so that the call for change becomes more dramatic. I don't have faith that we can win CL so if we lose i hope it leaves a mark. As for some of the Spanish kids, Asensio is not as good as some think imo, Ceballos has disappointed me, does not show that Elite spark i expected but the jury is still out. Theo is a player i wasn't very excited for and he hasn't been impressive either, i do not like stocky tree trunk technically limited players of his kind and in this sense some comparisons with Bale are indeed apt. Zidane will obviously leave no matter what, his failure to execute damage limitations is astonishing, albeit it's more complicated than that. If Benzema is still playing in this club next year it is reason for suicide watch. Ceballos has played 250 minutes in actual first team matches. Not exactly given a chance as of yet. Hard to judge anyone from these Copa matches when they play with people they've never played with. A no-chemistry team is always fielded in these matches. I am definitely not a fan of us keeping a manager who clearly has ran out of ideas (to which, weren't exactly in plentiful). Zidane's time is over, this is just a very slow walk to the plank. It's just inexplicable how these guys forgot how to play football in a space of 5 months ffs. This is the exact same team that destroyed United and Barca in August. When every player underperforms in a club its almost always the fault of the coach. The starters are playing poorly, the bench players are playing poorly. 20 players or so underperforming or flat out excluded is never a coincidence. It means something is not working in the locker room and change is needed. @rincon wrote: The starters are playing poorly, the bench players are playing poorly. 20 players or so underperforming or flat out excluded is never a coincidence. It means something is not working in the locker room and change is needed. Zidane even admitted it was his fault. But what's more surprising is the players seemingly don't care. At this point I think they're playing to get him sacked.